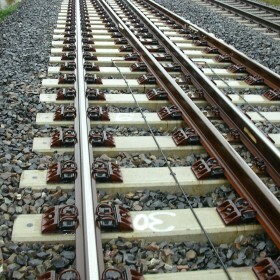 Learn more about the efficient turnout solution for slab tracks. The system 300 W has been developed on the basis of the proven system 300 and is currently being used in high speed tracks all over the world. Having a modular design, it can be adapted excellently to different requirements.